Some of you have been asking about the renovations. There are coming along nicely. We are moved back into the living room. 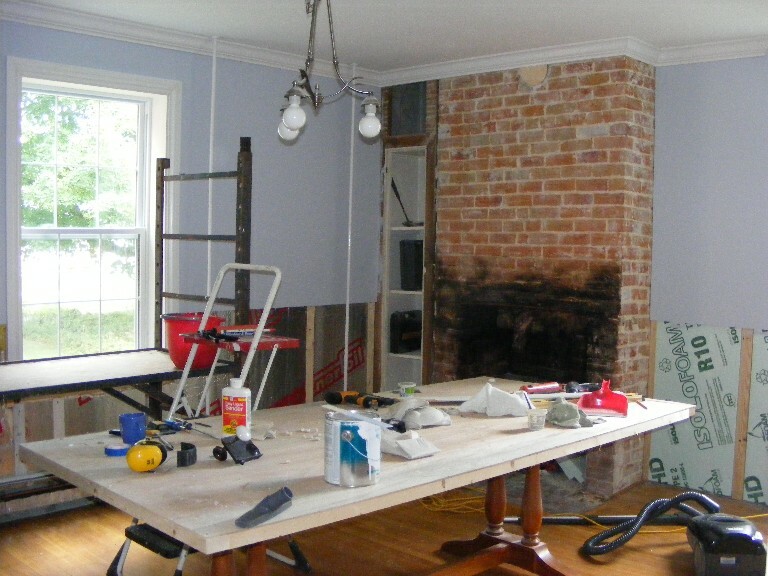 What remains is the dinning room. As I've mentioned in a prior post, I'm just pleased that the hot water heating system is up and running. Let me explain! Hubby has been busy taking care of the finishing trim, and there is lots of it! We have crown molding in both the dinning room and living room! The lower part of the walls will have wainscoating! I finished Rural Jardin, a Moda pattern by French General. It's another free pattern and you can access it here. I used both Rouinerie and Rural Jardin fabric line by French General. Both lines are available at Fibre Junction. I used the Plumage panto on this quilt and I really like how it turned out! I love a scallop border, I don't know why I do not make more quilts with scallops! It is a pain to mark, ruler or not, but so worth it once it's completed! I use the Large Scallop Radial Rule from Katie Lane Quilts to mark my scallops. The ruler does make it easier. 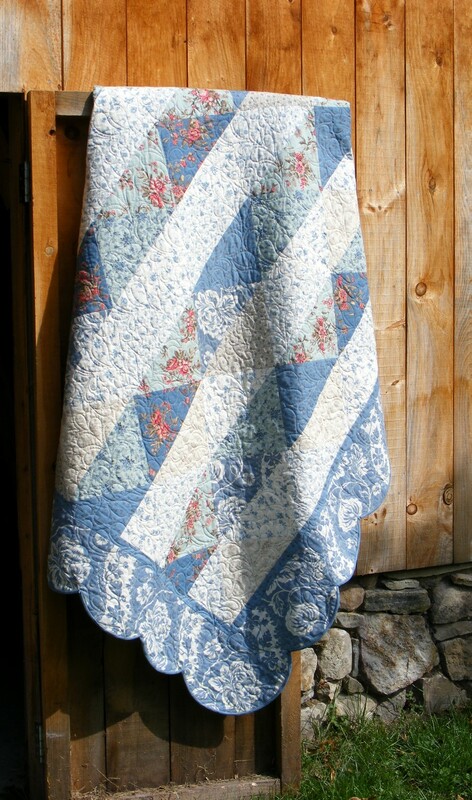 I LOVE that quilt -- gorgeous. Especially the scalloped borders! Glad that the renovations are moving along and that you did not have to hire a lawyer!!! Love your pretty quilt. The fabrics are wonderful too. You stay so busy! The quilt is so pretty. The scalloped border really makes it special. I'm glad your reno's are moving along. We still need to add tile to the back splash in the kitchen and paint the walls. It doesn't end. Love the new quilt, very petty.